The beautiful Windy Hill Dunes condos are a favorite with year-round residents and vacationers alike. Because the location is a bit more private, units offer a bit more luxury, and interiors have so many upgrades, condos at Windy Hill Dunes are truly made for the discerning owner who wants the best! The Windy Hill section of North Myrtle is on the far south end of the beach, and is the section of town closest to Barefoot Landing, the golf courses at Barefoot Resort, and popular restaurants. A new BiLo shopping center brings even more restaurants, a huge grocery store, and even a spa for your dog to enjoy! The beach and homes are on the highest elevation in North Myrtle which protects against most flooding and storm damage as well. Windy Hill has a residential feel to it, and makes for a neighborhood atmosphere. Windy Hill Dunes amenities include an outdoor pool, a lazy river, a Jacuzzi, a children’s pool, fitness center, covered parking and wireless Internet access. The condos at Windy Hill Dunes are very spacious, with private balconies and a covered walkway bridge over Ocean Boulevard to the parking deck across the street. This resort is one of the most popular ones in North Myrtle Beach, and a "must-see" in your condo search. See the available units for sale at Windy Hill Dunes by accessing the data base on the left of this website. As the #1 selling real estate agency along the Grand Strand, RE/MAX Southern Shores agents can assist you with purchasing a condo or investment property at Windy Hill Dunes that is suited to your needs. RE/MAX Southern Shores, the #1 selling real estate agency along the Grand Strand, invites you to access listings for Windy Hill Dunes condo by using the search features on the left of this website. Then call a RE/MAX Southern Shores agent at 843-839-0200 for personal attention to find the housing option that is just right for YOU! It is no wonder that so many buyers choose Windy Hill Dunes in North Myrtle Beach as the location of their oceanfront condo. All one has to do is take a drive through the Windy Hill community to see all it has to offer. 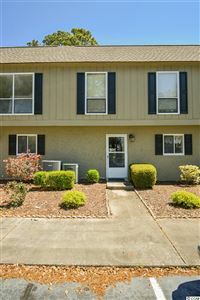 RE/MAX Southern Shores real estate agents are very familiar with the area in which Windy Hill Dunes is located, and we would be happy to take you on a tour through this complex as well as the North Myrtle Beach area. Simply give us a call at 843-839-0200 to schedule some time to make your real estate dreams come true! RE/MAX Southern Shores agents focus on YOUR wants and needs related to the home buying/selling process. 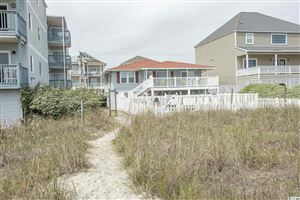 Contact RE/MAX Southern Shores at 843-839-0200 regarding any Windy Hill Dunes or Grand Strand MLS listings. One of our expert agents can assist you in the buying aspects of real estate transactions by providing you with detailed information for any listed real estate. If you love the serenity of beach living and want one of the best luxury condos on the oceanfront, Windy Hill Dunes is the ideal North Myrtle Beach condo for you. Contact RE/MAX Southern Shores today at 843-839-0200 to talk with an agent about making Windy Hill Dunes your next home!